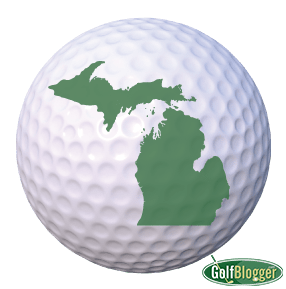 THOMPSONVILLE – Crystal Mountain Resort will host the Michigan Women’s Open for the 14th consecutive time starting Monday on the Mountain Ridge Golf Course. The 23rd edition of the championship, which does not require Michigan residency, will feature an international field of 88 golfers, including professionals and amateurs representing 19 states and four countries. The field will play 54 holes of stroke play over three days without a cut to determine the champion. The purse is yet to be announced. The championship is administered by the Michigan Section of the PGA of America, and the field typically includes the top professionals and amateurs with Michigan ties as well as LPGA Symetra Tour players and mini-tour professionals from across the country and other nations as well. The Symetra Tour is in Michigan, headed next for the July 1-3 Tullymore Classic at Tullymore Resort in Canadian Lakes. Former Mississippi State golfer Ally McDonald, who is not a mini-tour pro, is not defending her championship. She won last year’s Open in her professional debut. A large number of new names are entered this year, but Michigan’s top golfers are lined up to play, including 2014 Michigan Amateur champion Jennifer Elsholz of Grand Raids, who is now a professional, last summer’s Golf Association of Michigan champion Julie Guckian of Linden, who is an amateur and Grand Valley State University golfer. Saline’s Sarah Hoffman, Lindsey McPherson of Flushing and former Michigan State standout Caroline Power, all making the rounds on the professional circuit, are entered, as are the three amateur Pietila sisters from Brighton – Emmie, Hannah and Maggie. Michigan State women’s golf coach Stacy Slobodnik, who as a player has won a record 15 GAM titles, is in the field as an amateur as are several of her current golfers and former Spartans. It’s always a green and white reunion at Crystal Mountain. Laura Kueny, the former Michigan State star now on the Symetra Tour, will not be in the field this year. She withdrew just a few days ago with a wrist injury. Former LPGA Tour players from Michigan, two-time Open champion Suzy Green-Roebuck of Ann Arbor, Sue Ertl of Ionia and now Florida, and Tracy Hanson of Holland, are in the field. Ertl is in the Michigan Golf Hall of Fame. Green won the 1994, and ’99 Michigan Women’s Open titles and plays each year in the Michigan Tournament of Champions as well. Tee times and other information can be found at www.michiganpgagolf.com. Justin Phillips of the Michigan PGA is the tournament director and available at 517-641-7421 orJPhillips@michiganpga.com.